When I arrived in a vibrant Taipei at the end of 1990, the young professionals I met were upwardly mobile and full of hope. Learning English was all the rage, and they diligently studied English in their spare time. Since arriving in Taiwan, I have been a teacher, trainer, coach, and consultant. These jobs have given me a front-row view on employment and employability, especially in multinational corporations. 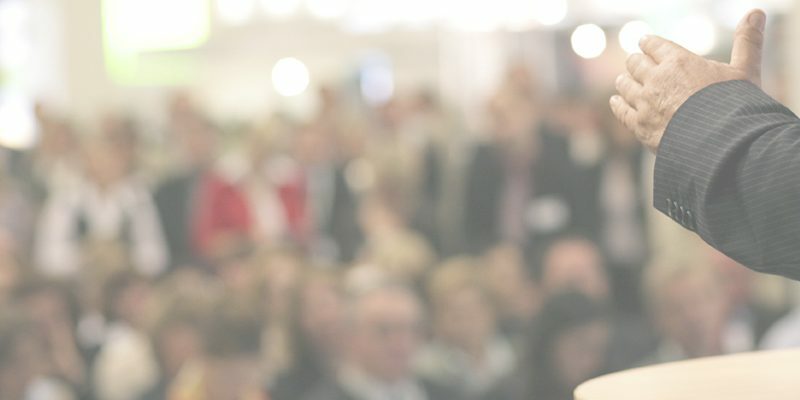 All in all, I have spent more than 30,000 hours training professionals in entry-level jobs and coaching CEOs in charge of thousands of people. I have watched these professionals move up or be squeezed out – some unable to find a job again. The optimism and prosperity that I initially found so attractive about Taipei now seems to be under threat – a threat coming from the nature of the jobs available in Taiwan and the competence needed to do those jobs. In this article, I will point out the source of the problem with employability and then offer modest suggestions for what can be done about it. Let’s begin by looking at the nature of available jobs. As Taiwan’s prosperity rose during the 70s, 80s, and 90s, so did the wages of its workers. When wages reached a tipping point, businesses in Taiwan found it more cost-effective to gradually move the work to China, Vietnam, Indonesia, Thailand, Cambodia, and other places with cheaper labor. There was nothing unusual about that decision. 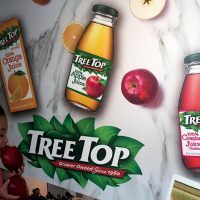 To stay competitive, businesses always look for ways to lower costs, and as Taiwan’s labor cost went up, companies here inevitably sought cheaper labor elsewhere. For labor-intensive jobs that could not be offshored – jobs such as taking care of the elderly, doing housework, and waiting on tables – Taiwan began importing labor, mainly from the Philippines, Indonesia, and Vietnam. That these jobs are largely performed by people from less prosperous countries is also a reflection of how the global economy works. Those who grew up in prosperous times in Taiwan find such labor-intensive work unappealing. As a result, there are now fewer labor-intensive jobs in Taiwan, and for social and economic reasons, the few labor-intensive jobs that are available are deemed unattractive and unacceptable by most of the local population. For domestic job-seekers that leaves office work as the main option for employment. Nearly all these jobs, however, require specialized knowledge, training, or certification – jobs such as accounting, law, medicine, and software programming. Depending on the nature of the job they aspire to, people may spend between four and ten years acquiring the necessary knowledge, experience, and certification. 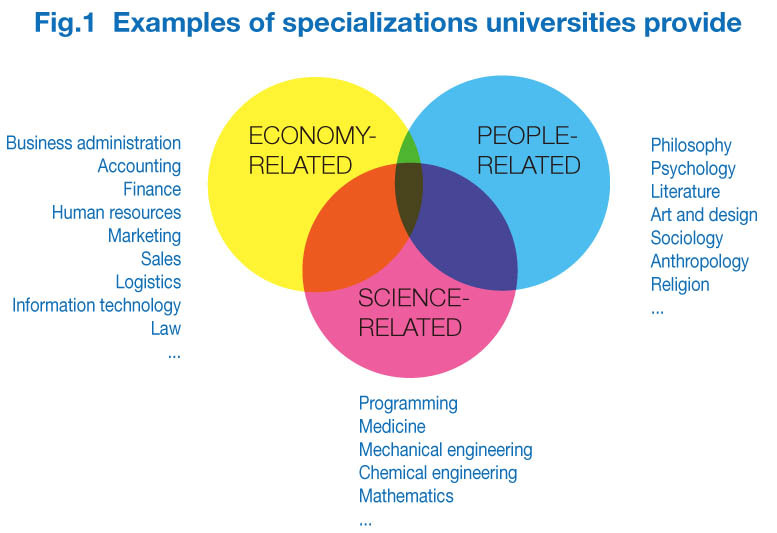 I have grouped these specializations in Figure 1 under three broad categories: economic, scientific, and humanities. Given how the nature of office jobs has changed in recent decades, changes are also needed in the way we educate and otherwise prepare people for those jobs. Think about how most subjects are taught in school. If you are from Taiwan, for example, reflect on how you learned English in class. Most likely you were asked to memorize vocabulary and grammar rules, listen to recorded conversations (if you were lucky), and then take standardized tests based on what you read, heard, and memorized – instead of demonstrating that you could use English to solve real problems in real situations, which is what English is needed for at work. That’s the first problem with how students are being prepared to perform office jobs. Instead of being prepared to perform the tasks they will face at work, they are being prepared to pass standardized tests. Secondly, Taiwan students are using the same books, same learning methods, and same tests as their counterparts in other countries. When these students graduate, they find that office jobs tend to go to qualified workers in places where the labor cost is the cheapest. For example, many multinational companies in Taiwan offshore their call-center jobs to China. The same is true with accounting, customer support, coding, and other jobs that do not need to be performed locally. The third problem, which is still nascent, is the automation of well-defined, routine cognitive tasks. As machine-learning algorithms mature, many well-defined, routine cognitive jobs that people perform today will be taken over by software at a fraction of the cost. In fact, it is happening already. 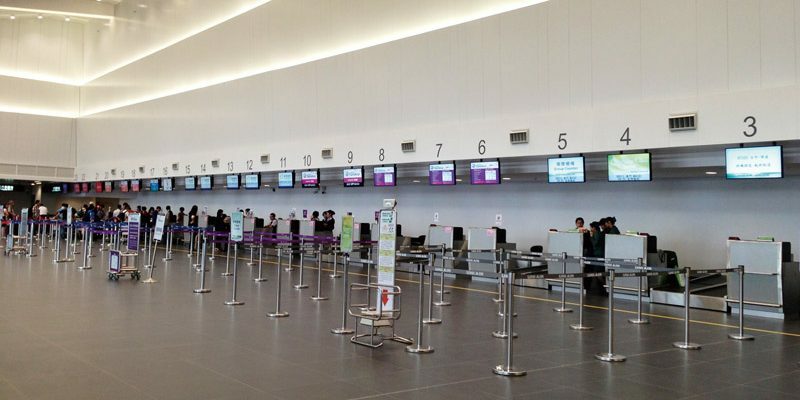 Most Taiwan citizens prefer using eGate instead of dealing with human immigration officers, and consumers increasingly prefer going online for booking flights, reserving hotel rooms, and buying products. Consequently, the majority of the office jobs available in Taiwan will be undefined and non-routine in nature. 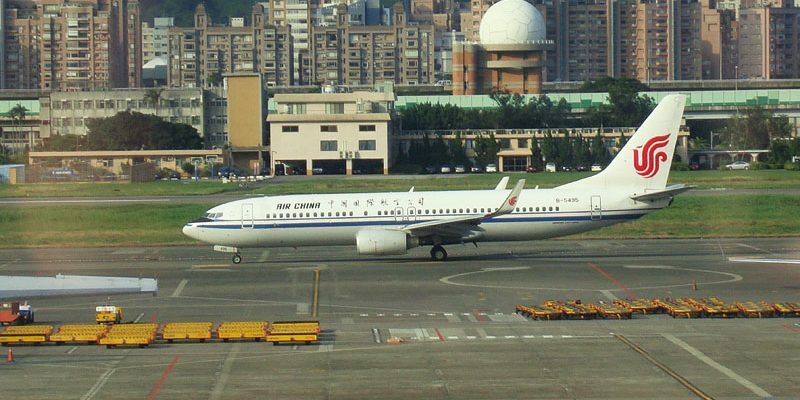 What has been happening in the United States will most likely transpire in Taiwan as well. 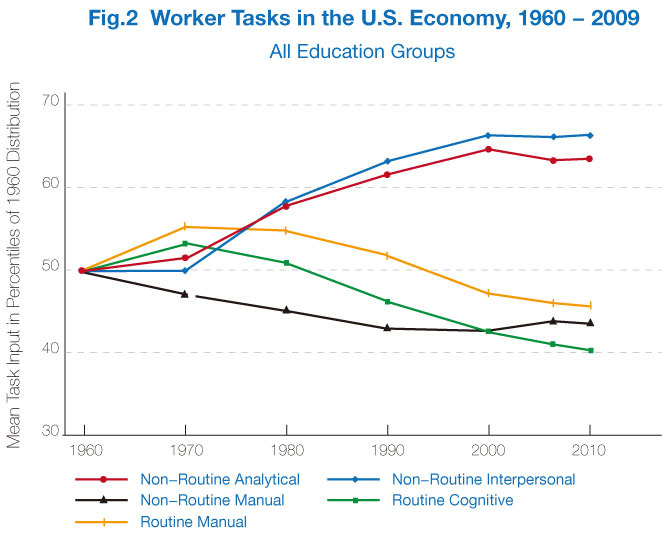 A study conducted by the Massachusetts Institute of Technology (MIT) in 2013 found that (as shown in Figure 2) among the five types of tasks performed by workers – routine manual, routine cognitive, non-routine manual, non-routine analytical, and non-routine interpersonal – growth between 1960 and 2009 occurred in only two categories: non-routine analytical and non-routine interpersonal. A separate study by McKinsey & Company, published in January 2017, concludes that jobs that are least likely to be automated are 1) Managing and developing people, 2) Applying expertise in planning, decision-making, and creative tasks, and 3) Interfacing with stakeholders. That gives us a fairly reasonable idea of the kinds of employment available to people residing in Taiwan. Labor-intensive jobs are fewer and fewer, and those that are available will be unappealing in nature. Among office work, jobs that can be offshored will move to cheaper labor markets, and in time other well-defined, routine jobs will be automated. Among the remaining office jobs, the majority will be non-routine in nature. 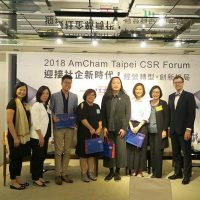 They will require creativity and innovation as well as emotional and social intelligence – areas in which the Taiwan workforce tends to be the weakest, as shown in the annual Business Climate Survey conducted by AmCham Taipei. 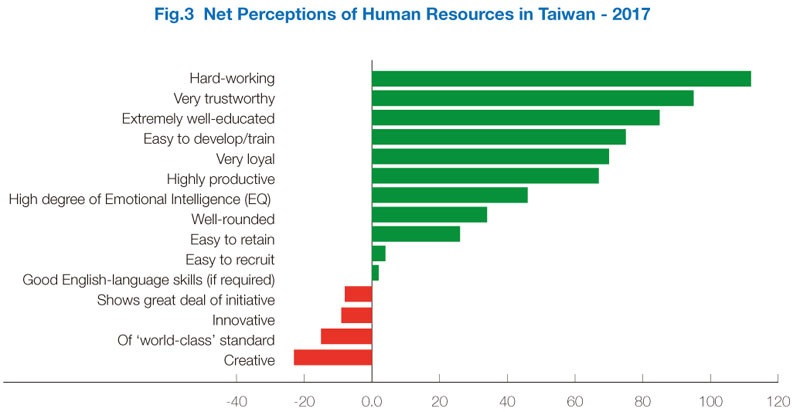 Over many years, the survey has consistently shown that managers find Taiwan’s human resources lacking in the competencies most needed for performing non-routine analytical and non-routine interpersonal tasks, including creativity and innovation, showing initiative, and being able to compete at an international level. As seen in the survey results shown in Figure 3, despite being highly educated, trustworthy, and hard-working, Taiwanese people lack the very competencies the available jobs require. First of all, as most work will be non-routine, analytical, and interpersonal in nature, we need to prepare our children early for these jobs. Schools will need to shift their focus from individual learning to peer-based learning, and the way we evaluate students will need to be changed. Instead of giving each individual student a score, evaluations will become team-based, and knowledge-based evaluations will become learning-based. As an example, the teacher could divide the students randomly into groups, asking each group to research a particular subject as a team and then present the findings to the class. Each team should be evaluated based not only on what they accomplished but also what they learned from others and their feedback. Peer-based learning will foster the development of non-routine, interpersonal learning – something that is missing in the way learning is currently structured in the schools. For university students, in addition to each person acquiring specialized knowledge, a “design-thinking”-based framework can be used to encourage collaboration between different disciplines. Stanford University already has a successful program that has been tried and tested. What universities in Taiwan need is to find a way to implement it locally. Design-thinking-based learning will allow us to address the three major concerns that businesspeople have related to Taiwan human resource: lack of initiative, innovation, and creativity. 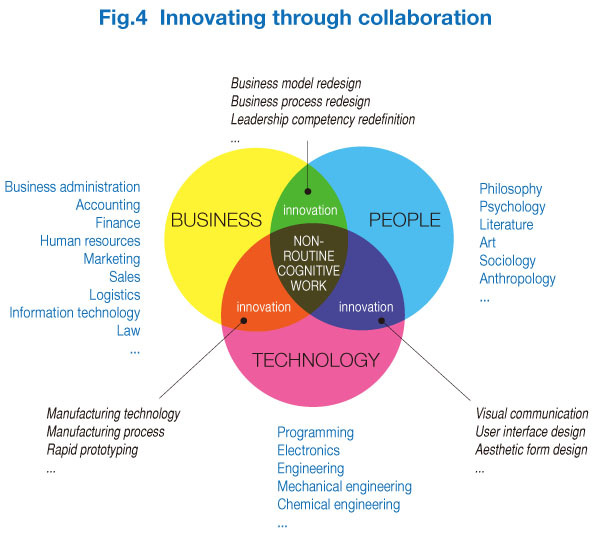 Design thinking fosters collaboration – as shown in Figure 4. Finally, learning should be seen as a life-long process, the way breathing is a process. We are not done with breathing in the morning and then head off to work. Just as we keep breathing throughout the day, we need to create systems and processes at work where we are continuously learning. The very nature of non-routine jobs demands continuous learning. The best way to accomplish it is to gradually change the organizational management framework from the current command-and-control to a coach-and-collaborate framework that relies on continuous feedback, learning, and adjustment. 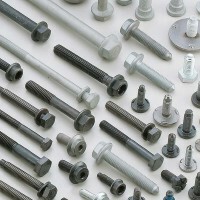 This entry was posted in Taiwan Business and tagged business, economy, labor. Bookmark the permalink. William Zyzo is an executive coach with multinational clients in Taiwan, Hong Kong, Singapore, South Korea, and China. He is also Advisor to AmCham Taipei’s Advance Learning Lab and Managing Director of Z&A Knowledge Solutions.